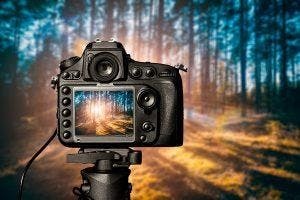 Interested in photography but still using auto? Want to learn how to have more control of your settings, composition, and techniques? Register today to join a small group tuition with a local photography teacher with over 30 years in a professional photography studio in Kaleen. You have a camera which will operate in shutter priority (S) or (TV), and aperture priority (A) or (AV). To get the best out of the course, you need to atend all four classes. Equipment – please bring a tripod – if you have one, camera with charged batteries, memory card with space inserted and your instruction manual if you wish to reference it. This course is for four continuous Wednesday, from 9 May- 30 May 2018. Full cost of the course is payable before attendance through the ticket selection. Payment options include debit and credit cards. Should a carer be unable to afford this, please contact Carers ACT via rsvp@carersact.org.au or by calling 6296 9982. As this course is at a cost to Carers ACT should a carer be unable to attend there will be no refund or make up sessions.